I know summer is over. But I have to include this photo to my "A Photo A Week" series simply because of its beauty. 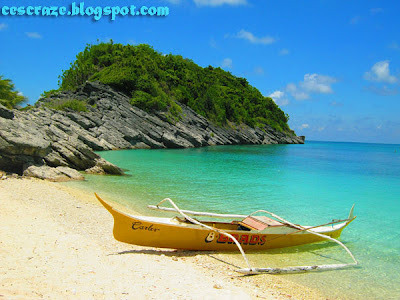 The island is called Antonia (an-to-nee-ya), one of the islands in Islas de Gigantes in Carles, Iloilo. I want to go back there because I can't get enough of its bluish green water and I still have to visit a nearby cave. Indulging in the beauty of this island for a night or two is surely worth all the effort.